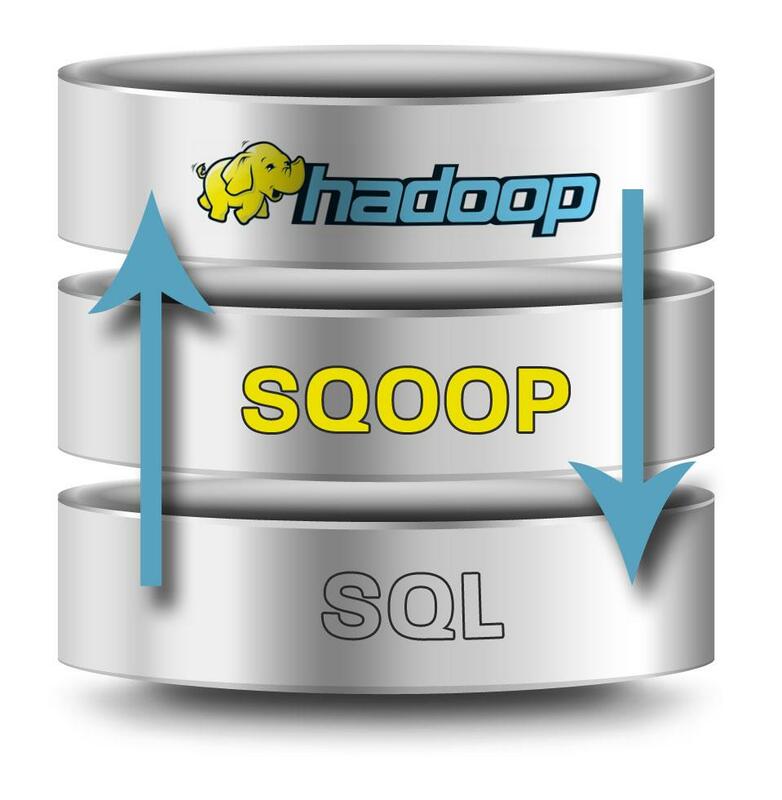 Sqoop is an Apache Hadoop top-level project and designed to move data between Hadoop and RDBMS. Sqoop is a collection of related tools. To use Sqoop, you specify the tool you want to use and the arguments that control the tool. In this post, we will cover how to import data from MySQL to Hadoop and Hive. Before importing data let’s create some sample data in MySQL. Here table student has 3 schema columns id, name, and age. Total number of rows in this table is 3. Now we will import the same into HDFS by using Sqoop. The import tool imports an individual table from an RDBMS to HDFS. Each row from a table is represented as a separate record in HDFS. Above command will run map-reduce job and import the entire data from MySQL of student table to HDFS. –connect argument is for specifying the database connection URL. –target-dir specifies location of the output/target directory in HDFS. If this argument is not specified then It will create a directory with the same name as the imported table inside your home directory (e.g./user/hadoop) on HDFS and import all the data there. Now you verify the imported data in Hadoop using web interface (http://NAMENODE_IP:50070/explorer.html#/) or using commands. By default, the import query will select all the columns of the input table for import, but we can select the subset of columns by specifying the comma-separated list of columns in the –columns argument. Below query will only import two columns (name,age) of student table. sqoop import -m 1 --connect jdbc:mysql://localhost:3306/protechskills --username root --password root --table student --target-dir /sqoopdatadir --columns "name,age"
By default, all the rows of the input table will be imported to HDFS, but we can control which rows need to be imported by using a –where argument in the import statement. Below query will import only those rows into HDFS where the value of the age column is greater than 27.
sqoop import -m 1 --connect jdbc:mysql://localhost:3306/protechskills --username root --password root --table student --target-dir /sqoopdatadir --where "age > 27"
Note: You can also use the –where and –column arguments at the same time. Sqoop can also import the result set of an arbitrary SQL query. Instead of using the –table, –columns and –where arguments, you can specify a SQL statement with the –query argument. When importing a free-form query, you must specify a destination directory with –target-dir. If you want to import the results of a query in parallel, then each map task will need to execute a copy of the query, with results partitioned by bounding conditions inferred by Sqoop. Your query must include the token $CONDITIONS in where clause, which each Sqoop process will replace with a unique condition expression. You must also select a splitting column with –split-by. Above command will run 4 parallel processes to import the data. We can import all the tables present in a database by using import-all-tables tool of sqoop. Data from each table is stored in a separate directory in HDFS. Each table must have a single-column primary key or -m 1 option must be used to run single process. Run below command to import all tables of protechskills database. –target-dir option don’t work in this tool. All tables will be imported into user home directory(e.g./user/hadoop) in HDFS. Above command will import all the tables from protechskills database except tables ABC and SALES. This entry was posted in Big Data, Hadoop Administration, Hadoop Ecosystem, Sqoop and tagged big-data, import-all-tables, Sqoop, Sqoop import. Bookmark the permalink.